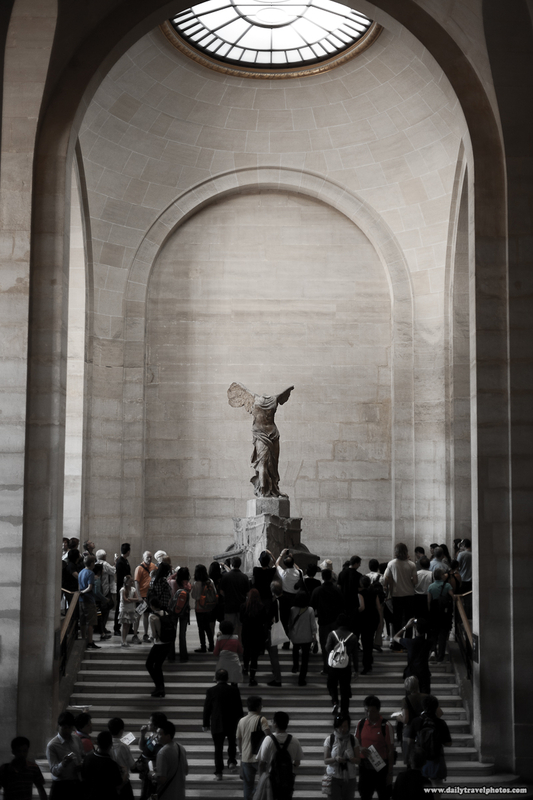 The Winged Victory of Samothrace, another of the "important" pieces held by the Louvre Museum. Completely pooped tourists at the end of a long day of art at the Louvre Museum. Firstly, apologies for the blurry photo but I had to shoot this from the hip in order to capture the moment. The photo was taken in the late afternoon, about an hour or 2 before closing time. At this point of the day, one can witness the disastrous toll of a full day of art appreciation by witnessing the human carnage that lay before you on every bench or seat inside the Louvre. Everyone feels the same way and most react with similar fatigue. Admittedly, I was equally spent but I had just enough energy to drag myself to the Louvre cafeteria and eat an pair of overpriced apples to regain just enough energy to walk out of the complex without collapsing and suffering complete organ failure. If you'll indulge me, I shall call this phenomenon, the Louvre Syndrome.